During the summer months, I am always looking for light desserts that I can throw together in a matter of minutes. This one uses one of my all-time favorite cookies and fresh, local berries. 2. Layer 2-3 generous dollops of whipped cream on top of vanilla wafers. 3. 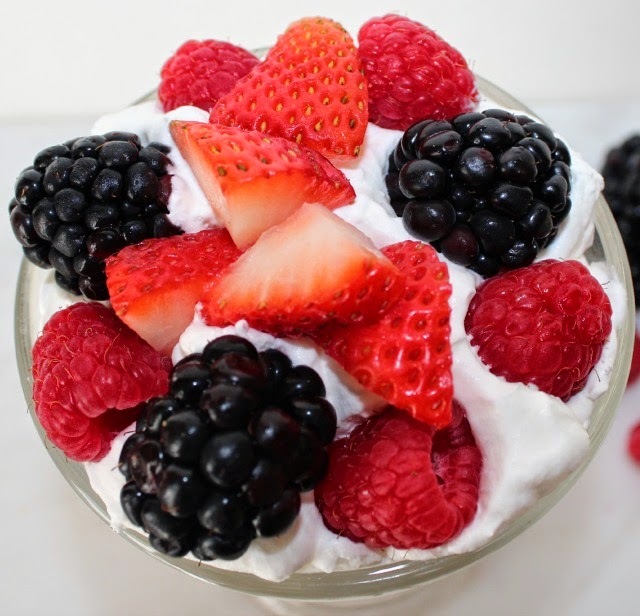 Top with various berries. 4. 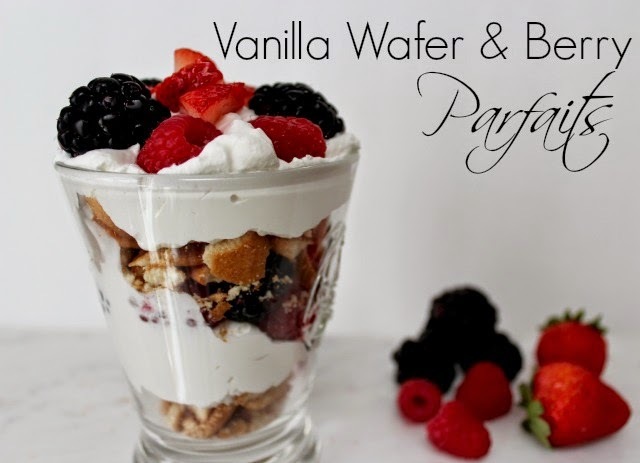 Repeat layers until you reach the top of the glass, making sure to end with a layer of berries on top. 5. Garnish with a sprig of mint.